"Raised glucose concentration is a modifiable risk factor for ischaemic heart disease in middle-aged people with type 2 diabetes and other cardiovascular risk factors." This means you can change that risk by lowering your blood sugar. You did not see this paper reported in your newspaper, and it is possible your doctor won't see it in his diabetes-related newsletter, either, because it doesn't sound like major news. But it is very major news, because ACCORD study was the study that, when it was first published in 2008, was interpreted as showing that lowering A1c was dangerous. This was because slightly more people in the "intensive intervention" arm died of heart attacks than did people in the arm of the study who didn't strive to get A1cs of 6.5% or better. As we blogged years ago, this original conclusion--that lowering A1c could prove fatal--turned out to be a classic case of poor data analysis. It turned out that the people in the "intervention arm" of the study who had those excess heart attacks were people who though they were were supposed to be lowering their blood sugar had not done so. Now, as you would expect, better analysis of the ACCORD data shows that lowering blood sugar most definitely does improve cardiovascular health. This is exactly what we would expect to find, as there is plenty of other evidence from unrelated studies that as A1c rises out of the 5% range the risk for cardiovascular disease starts to rise steeply. You can read summaries of many of these studies HERE. 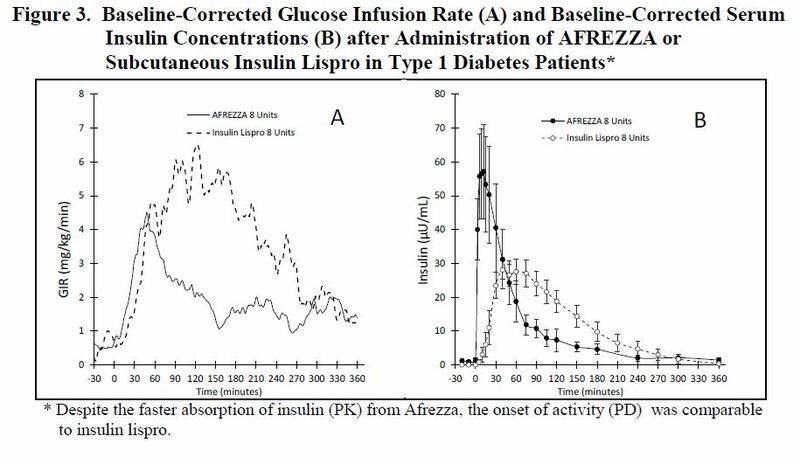 But the tragedy here is that, back in 2008, endocrinologists who should have known better took the original ACCORD report to mean that lowering your blood sugar below 6.5% is dangerous. And because fo this belief, they actually discouraged their patients from lowering their blood sugars to the levels that it turns out would have protected them from harm. This is now a huge problem people face when asking doctors to help them achieve tighter control. I have heard from several people with diabetes who have been censured by their doctors for achieving A1cs below 6.5%. I have also heard from others who were refused treatment that could lower A1cs of 7.0% and post meal numbers shooting into the 200 mg/dl range after meals because their doctors believed that intensive lowering of any kind would be dangerous. If you fall into this category, or if you are not getting the support you need from your doctor to help you achieve a better blood sugar result, print out the abstract of the Lancet article above and bring it to your next doctor appointment. Other drugs like Glyburide, Januvia, Byetta, Actos, and Invokana, along with the many other drugs in the families as these drugs may be very effective for lowering blood sugar, but they lower blood sugar using mechanisms that may over a long period of time harm your body. Januvia and Byetta appear to cause pancreatitis, and may raise the risk of cancer, and alter the immune system. The sulfonylurea drugs like glyburide, glipizide, and glibenclamide stimulate a heart receptor and increase the risk of heart attack. The drugs like Actos raise the risk of heart failure and osteoporosis. Invokana and related drugs cause urinary tract infections and may cause cancer. You can learn more about the specific safety issues of the many drugs now prescribed for diabetes at the Drugs page of the main Blood Sugar 101 web site. So stick to the safe drugs and dietary interventions to lower your blood sugar to as normal a level as you can attain. Ideally an A1c near 5% is best, but many of us can't achieve them. (I sure can't!) A1cs anywhere in the 5% range are a huge improvement and should give most of us normal health. Keeping your blood sugar under 140 mg/dl as much as possible at all times no matter what your A1c is probably the very best way to protect your arteries and avoid heart disease. Quite a few people have commented that my full-length book, Diet 101: The Truth About Low Carb Diets gives them more information about the science and studies backing up low carb diets than they want to read. So for those dieters, I have put together an action-oriented, just-the-facts, Kindle short read that concentrates on the main problems low carb dieters encounter and explains how to solve them. It is designed to be read in roughly an hour. If you already have Diet 101, you don't need this new book. 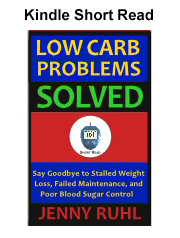 But if you know people who might benefit from a simpler, less technical discussion of the many issues that arise when people try to diet on low carb diets, let them know about this new book. They'll find it helpful! This brief booklet presents the absolutely basic, essential information people with diabetes need to know. It explains what causes diabetes, what blood sugar levels cause heart disease and complications, what raises blood sugar, how to lower blood sugar using a blood sugar meter and the Test, Test, Test strategy, and what to do if that strategy doesn't give you normal blood sugars. I have priced it so that it competes with a cup of premium coffee, hoping that this e will make it possible to reach people who don't know how to Google the web site and can't afford the the full-length Blood Sugar 101, book. I have also published it exclusively on Amazon so that it can be read for free by subscribers to Kindle Unlimited. If you have friends with diabetes, prediabetes or insulin resistance, who really need to get the message, but won't take the time to read a full length book or look up the web site point them to this ebook.